Oppo held a Chinese launch today for its Find X flagship with slider mechanism, as promised earlier this week. At the global launch in Paris the company said the phone would cost around €999 in the EU, but today it went into detail about pricing and availability for all Find X variants, including the premium Lamborghini Edition. 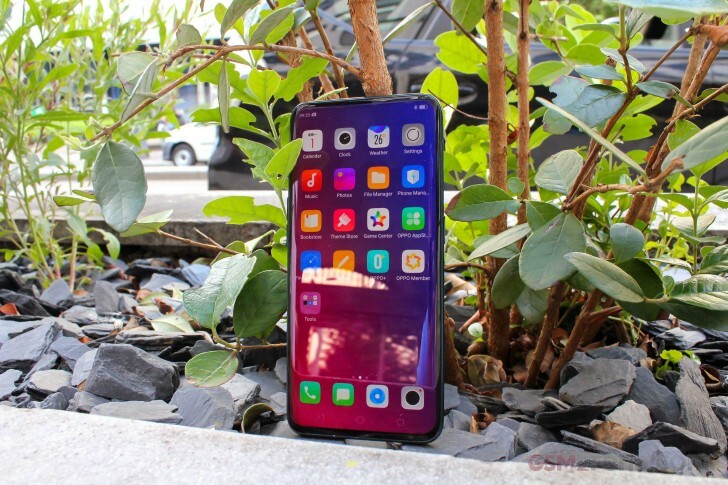 The Oppo Find X arrives with 8 GB RAM and two storage options - 128 GB or 256 GB. Both are available in either Bordeaux Red or Glacier Blue edges, but the higher-end variant, also called Super Flash Edition, arrives with Super VOOC charging. Other specs include Snapdragon 845 SoC, Oppo FaceKey feature for face recognition, AI-infused camera and Color OS 5.1, based on Android Oreo 8.1. There is also a third ultra-premium edition of the Oppo Find X, created in collaboration with Lamborghini. It has a neat black finish, 512 GB storage, can top up the 3,400 mAh battery in 35 minutes with Super VOOC and comes with O-Free Bluetooth earbuds. Pre-order for the standard version has already begun and the first flash sale is scheduled for July 13. Oppo did not announce any launch dates for the other two versions, just said they would eventually appear in August in stores along with the O-Free headphones. Prices in China begin from CNY4,999 for the 8/128 GB version, which is around $750/€650. The Super Flash Edition will have a CNY5,999 price tag ($900/€777), while the Lamborghini Edition costs the staggering CNY9,999 or about $1,500/€1,300. This person is a compulsive historian who strongly feels the need to record breath by breath of his / her life. Nervous breakdown person, in my 2cents opinion. Specs won't save you unless Oppo optimize it's software which is less likely.